Theoretical research is carried out in the general area of thermodynamics and statistical mechanics of condensed matter. Problems of interest include the structure and dynamics of polymer systems, rubber elasticity, the glass transition, structure and dynamics of liquids, and interfacial systems. My work uses the complementary techniques of analytical theory and computer simulation, primarily Monte Carlo methods. The computer simulations allow us to study simple model systems in detail providing important conceptual insights to guide analytical theory. My interests in analytical theory include both model calculations and formal theory. I also carry out research in the history and philosophy of science and in the scholarship of teaching and learning. Areas of current interest include scientific and professional ethics, the role of metaphor in scientific thought and writing, the teaching of writing of science, and the development and assessment of active learning methods for the teaching of chemistry. Finally, I am doing research in the history and philosophy of pacifism and conscientious objection. Dr. Kovac received the B.A. degree in chemistry from Reed College in 1970. He attended graduate school at Yale University, receiving the M. Phil. degree in 1972 and the Ph.D. in 1974. He spent two years as a postdoctoral research associate at the Massachusetts Institute of Technology before joining the faculty of the University of Tennessee in 1976. 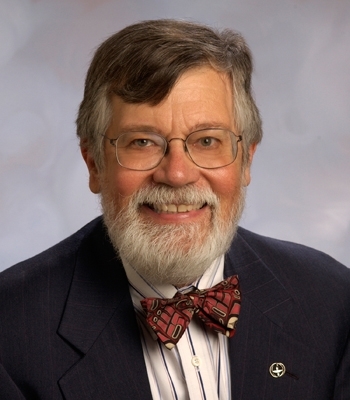 He is a member of Phi Beta Kappa and received a Woodrow Wilson Fellowship in 1970. Writing Across the Chemistry Curriculum: An Instructors Handbook. J. Kovac and D.W. Sherwood (Prentice Hall, Upper Saddle River, 2001). The Ethical Chemist: Professionalism and Ethics in Science. J. Kovac (Prentice Hall, Upper Saddle River, 2004). #21 at Cascade Locks. J. Kovac (Oregon State University Press, 2009). Dynamics of polymers near the theta point. J. Kovac, pp. 197-201 in Numerical Methods for Polymeric Systems, vol. 102 in the series IMA Volumes in Mathematics and Its Applications, S.G. Whittington, ed. (Springer, New York, 1998). J. Kovac, "Professional ethics in physical science," in D. Baird, E. Scerri, and L. McIntyre, eds., Philosophy of Chemistry: Synthesis of a New Discipline, Boston Studies in the Philosophy of Science, vol. 242, Dordrecht: Springer, 2006, pp.157-169. A variable-structure cell model of two-dimensional liquids and glasses. F.L. Somer, Jr. and J. Kovac, J. Chem. Phys. 102, 8995 (1995). A weird insult from Norway: Linus Pauling as public intellectual. J. Kovac, Soundings: An Interdisciplinary Journal 82(1-2), 91 (Spring/Summer 1999). Science, law, and the ethics of expertise. J. Kovac, Tenn. Law Rev. 67, 397 (2000). Universities as moral communities. J. Kovac and B.P. Coppola, Soundings: An Interdisciplinary Journal 83(3-4), 765 (2000). Student-active learning in physical chemistry. R.J. Hinde and J. Kovac, J. Chem. Educ. 78, 93 (2001). Theoretical and practical reasoning in chemistry. J. Kovac, Found. Chem. 4, 163 (2002). C. Davis and J. Kovac, "Confrontation at the Locks: A National Protest of the Japanese Removal and Incarceration," Oregon Historical Quarterly, 107 (4), 486-509, Winter 2006. J. Kovac, "Moral Rules, Moral Ideals and Use-Inspired Research," Science and Engineering Ethics, 13, 159-169, (2007). J. Kovac, “Ethics in Science: The Unique Consequences of Chemistry,” Accountability in Research, 22, 312-329 (2015).